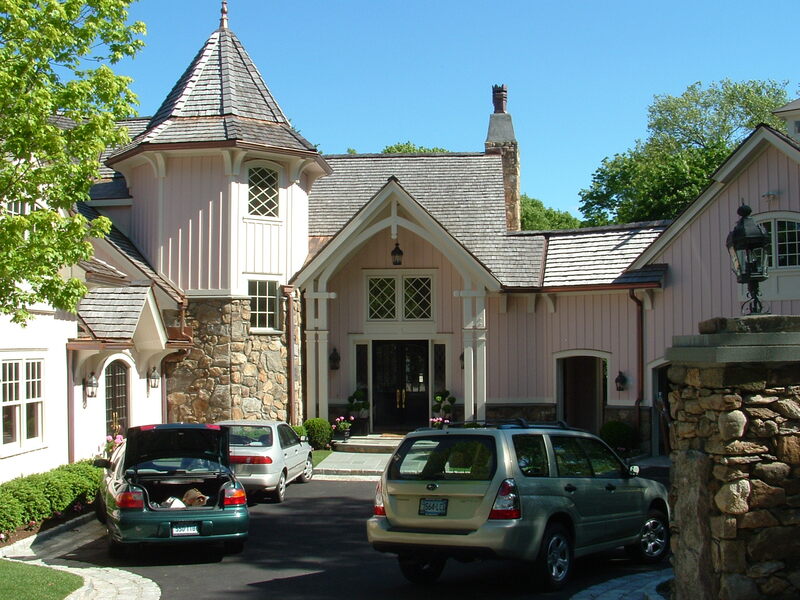 Douglas Cutler is one of the most celebrated architects in the nation for his work in architectural renovation and high-end addition construction. 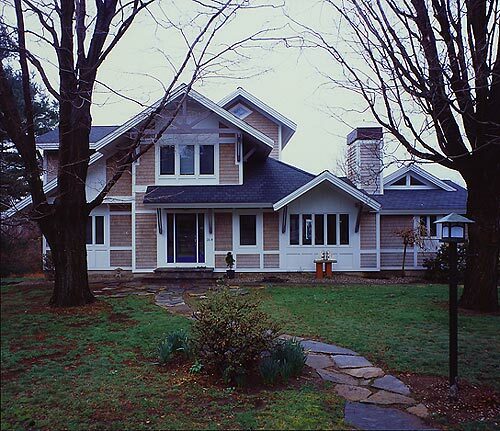 Below are examples of how Douglas Cutler Architects can multiply the value of your home through a custom renovation. 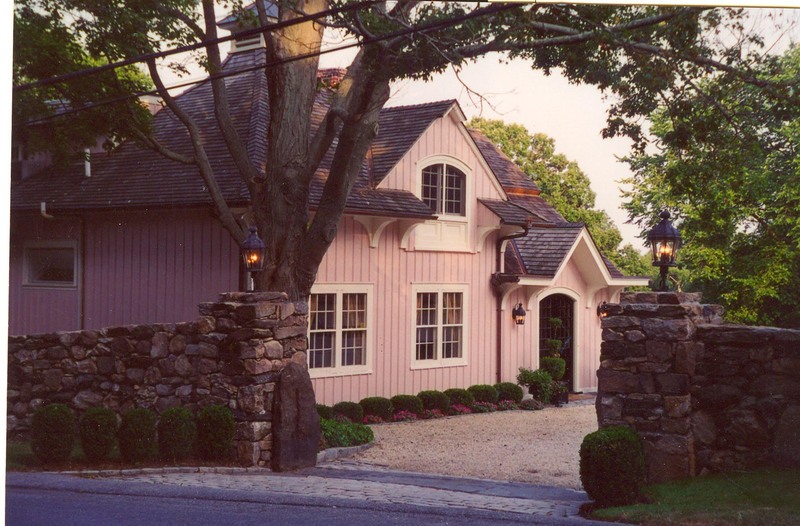 The amazing outside conversion of this home in Westport only tells part of the story. 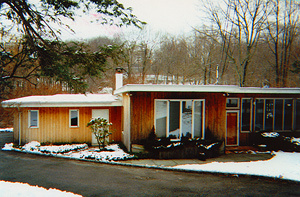 Cutler says that one challenge with this 1950s style ranch was that it had already been renovated several times. 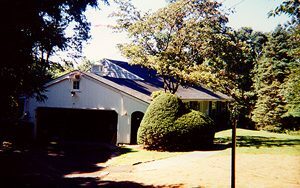 A large family space had been added on before and Cutler had his work cut out for him because it was inconsistent with the architecture. The job involved disguising the old renovations while also shaping a new style. Before the renovation, the square footage measured 4,000 sq. ft. and the house was valued at $1.1 million. Afterwards, the square footage increased to 7,000 sq. ft. and the value more than tripled to $3.5 million. Inside, Cutler created a spectacular foyer with a sweeping staircase and a beautiful paneled library with a coffered ceiling. At this home in Greenwich, the owners wanted a contemporary solution for the split-level. 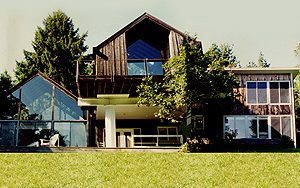 Cutler was careful to make the house as appealing as possible from the driveway view while also creating a retreat at the back of the house. 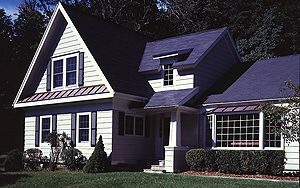 The result: a dramatic change that more than tripled the value of the home. 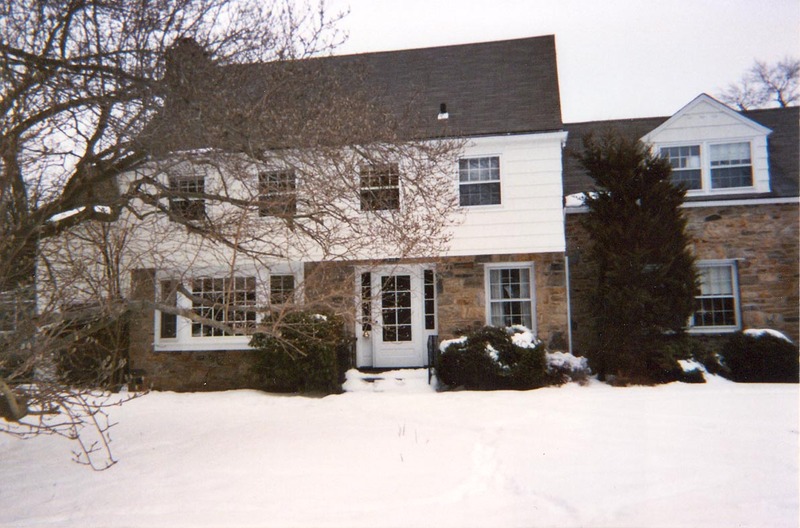 Before, this house measured 2,600 sq. ft. and was valued at $800,000. Now, the house measures 4,400 sq. ft. and has a new home value of $2.5 million. While the home underwent this transformation, the family was able to stay in the house, thanks to efforts by Douglas Cutler Architects to be as non-invasive as possible. Cutler says that the homeowners were so pleased with the results that they made additional improvements, like a pool and a porch, to enhance the new look. 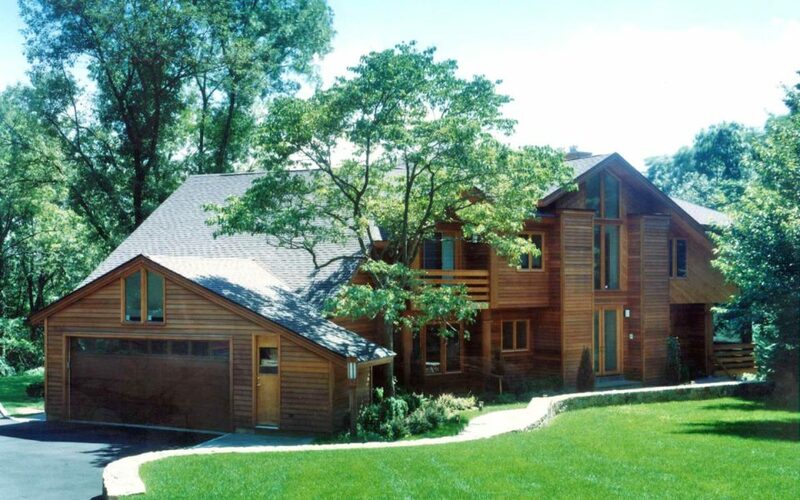 This home is a combination of modular building systems and site-built elements. 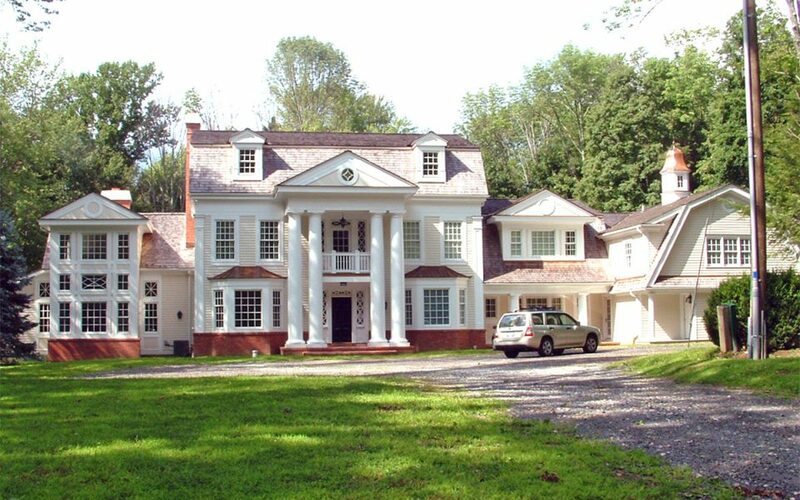 The amazing end result looks like a new house complete with a new columned porch and glassed portico. Careful planning and the 20 years of experience that Douglas Cutler Architects has with modular systems means that this house’s expansion looks natural and the new floor plan looks like it was always meant to be. 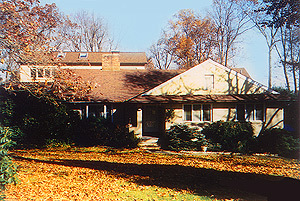 Before the renovation, the house measured 1,800 sq. ft. with a value of $750,000. 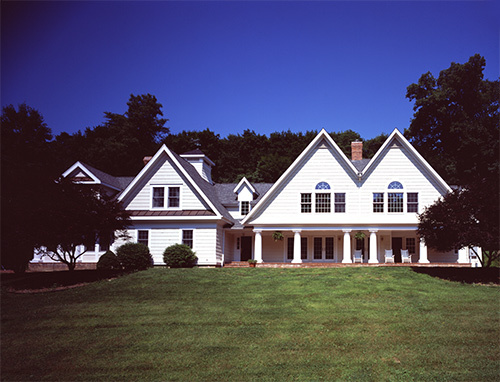 After the renovation, the house measured 4,800 sq. 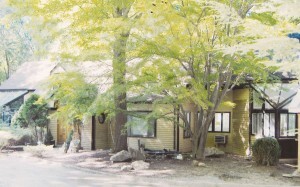 ft. and the new home value increased to $2.8 million. You want changes to your house to make an impact, but you need an experienced professional that knows how to carefully expand your home while also maintaining its integrity. “I find that every 3 out of 4 homes that have been renovated, look like it,” says Cutler. 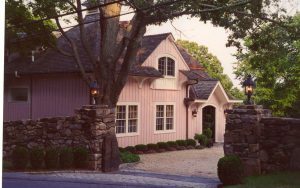 Douglas Cutler Architects strive to make sure your house doesn’t look like a cookie cutter by working with you to customize the perfect home. This Greenwich house benefited from Douglas Cutler Architects not once, but twice. 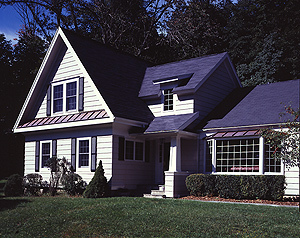 Cutler explains that the original owner added a double gable to the ranch house, and then the current owner continued expansions on the far left side. Beforehand, the house measured 2,800 sq. ft. with a home value of $1.2 millions. 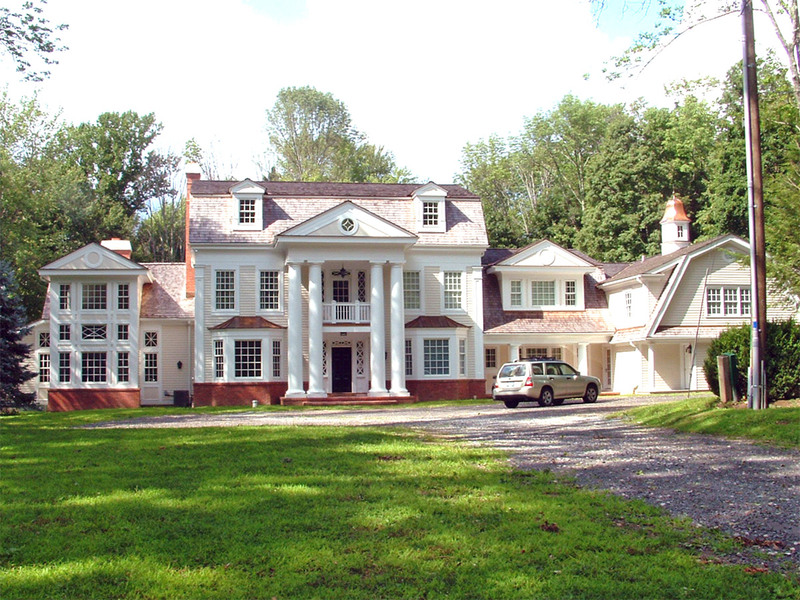 After the renovations, the house measures 4,800 sq. ft. and is now valued at $3 million. Conventional building systems created a large, two-story family room with a see-through fireplace. 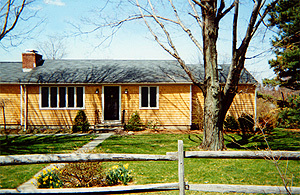 The addition also included a master bedroom suite and several bedrooms. 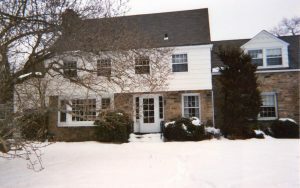 During both renovations, the customers were able to live in the home. 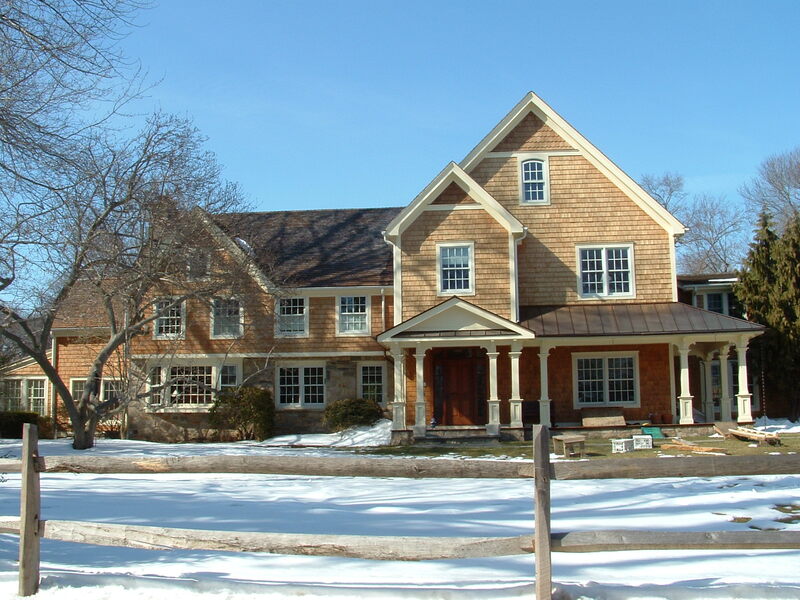 Renovations at this Wilton home improved not only aesthetic issues, but water problems as well. 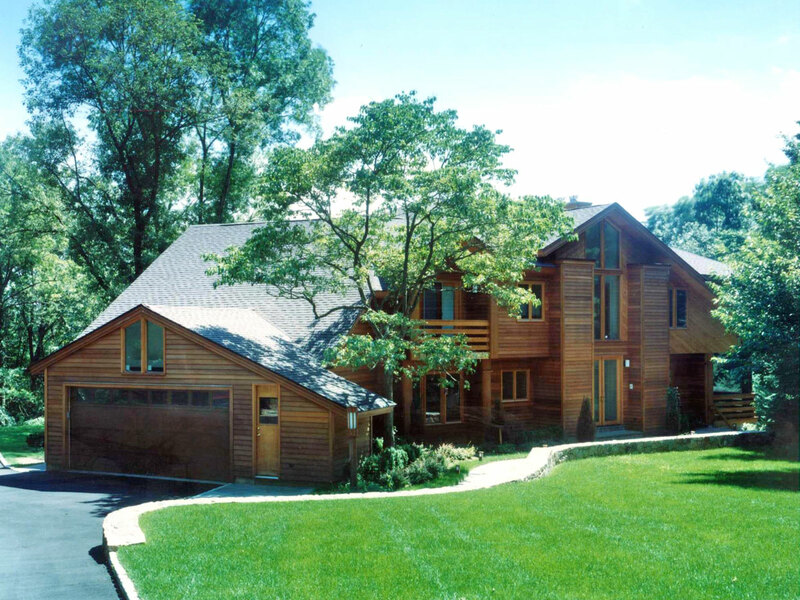 Cutler transformed what was an oddly shaped contemporary by creating a split-level entry. By raising the entrance up several feet, the house now boasts a more dramatic entry and leaking issues have literally dried up. 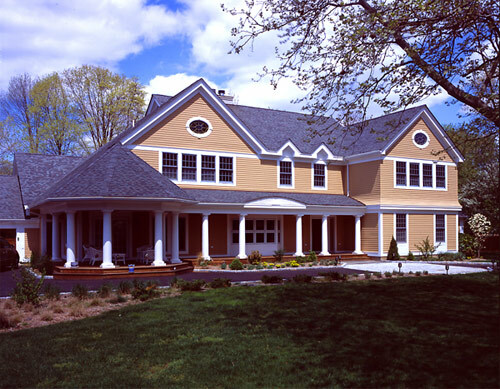 A master suite, home office and exercise room are new additions, while a family room benefited from expansion. 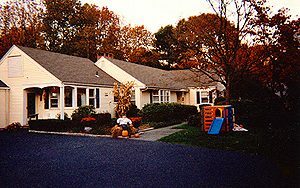 The square footage increased from 2,900 to 4,900 sq. 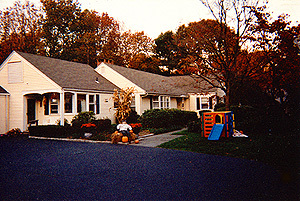 ft, while the home value grew from $500,000 to $1.3 million. 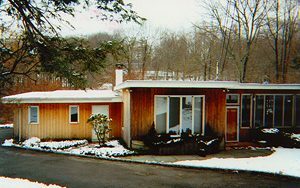 This home in Wilton is an example of how a modular system can help create a unique look that improves the appearance and value of your home. From the high peaks of the front to the brackets in the back, this house showcases the range of possibilities Douglas Cutler Architects can bring to your property. 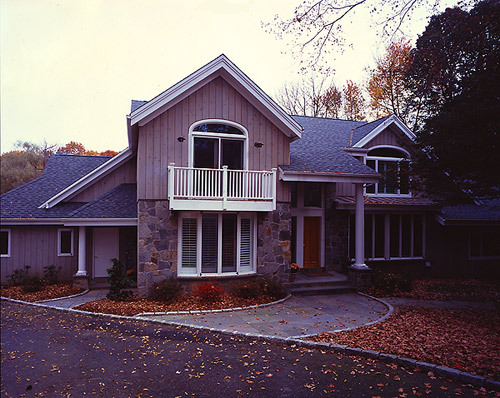 In this case, the owners wanted a western-style contemporary instead of a typical colonial. The house measured 1,800 sq. ft. beforehand and was valued at $400,000. Afterwards, the square footage increased to 2,800 and the value increased to $1 million. The kitchen stayed intact during renovations and the clients remained in the house during the entire transformation. The brackets and large overhangs add a lot of interest, while a spiral staircase inside and a hot tub outside complete the modern feel. 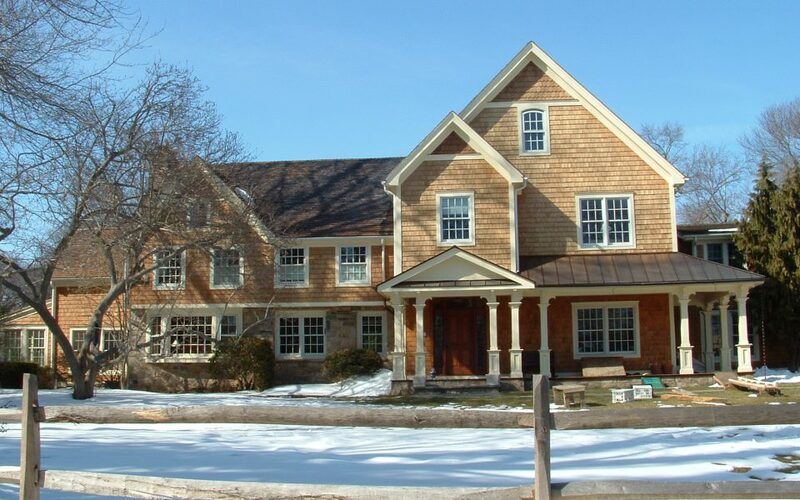 The vision and execution of Douglas Cutler Architects more than doubled the home value of this house in Wilton. 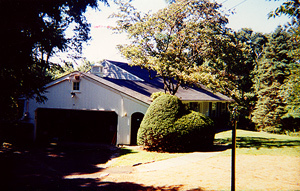 Before renovation, this older 3,000 sq. 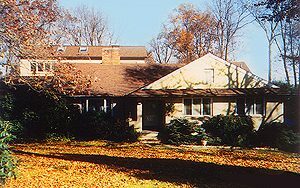 ft. ranch was already renovated in the sixties and had an approximate home value of $600,000. 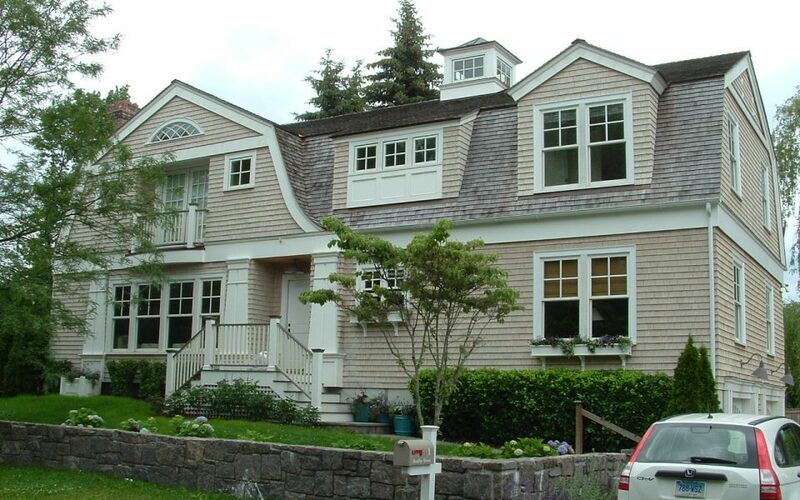 Afterwards, the shingled colonial measures 4,800 sq. ft. and now has an approximate home value of $1.5 million. 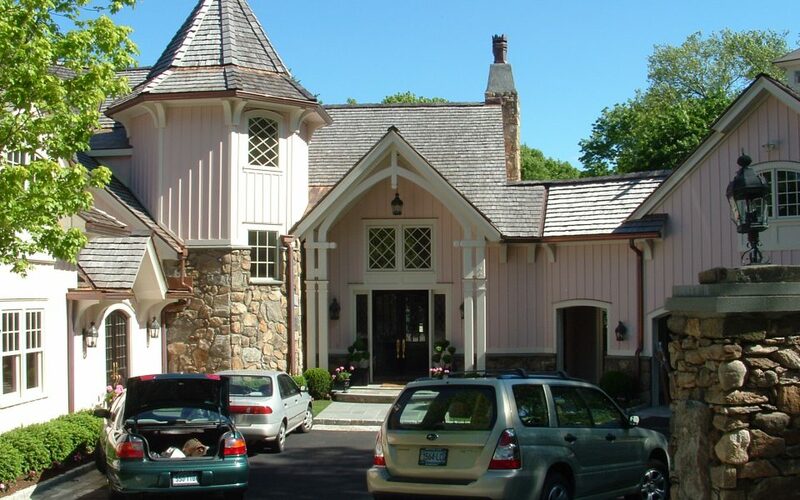 With this house, Cutler had the challenge of expanding without making it obvious. “We try to make it look like it was always meant to be, that it doesn’t look like an addition,” says Cutler of his work. 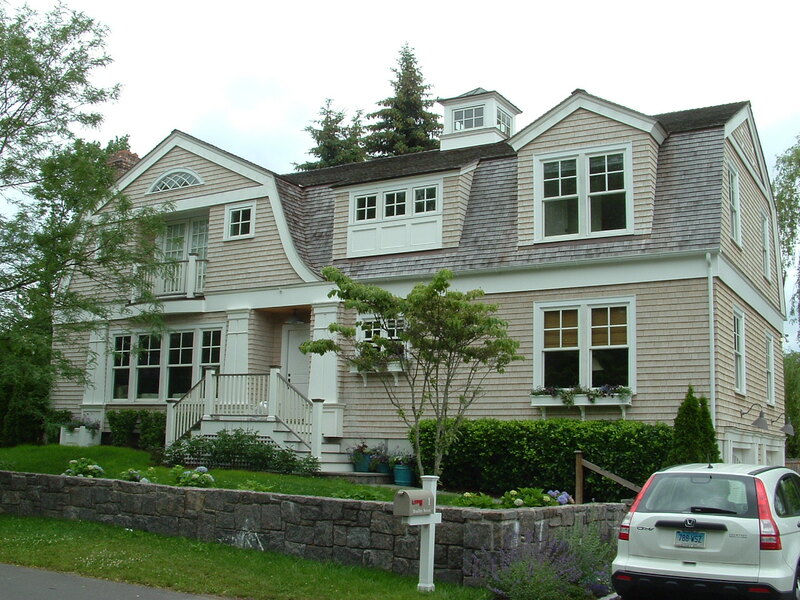 In this case, Cutler worked with the client by re-stylizing the exterior to make it a shingled colonial. 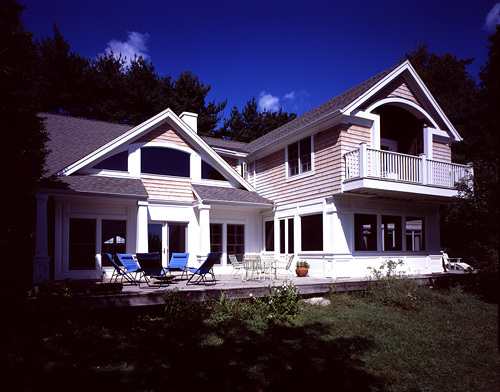 Cutler also captured the style of the client’s vacation home on Martha’s Vineyard to create an airy feel year-round. As for the final results, Cutler says his client was pleasantly surprised by how different the house looked, and paid him the ultimate compliment by referring him to other customers.